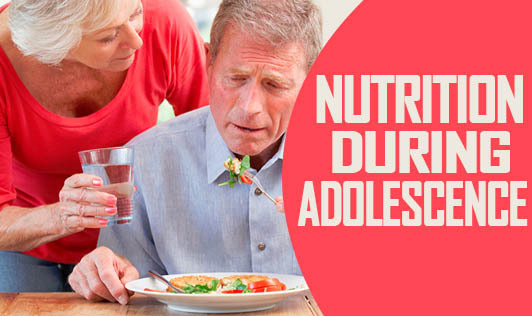 Adolescence is a time of increased nutrient needs. During the adolescent phase, there are many changes in his/her body - changes occur in hormones, skin, height, weight, etc. Adolescence is the time to inculcate food and exercise habits which ensure good health forever. Adolescents as being exposed to periodic food fads and slimming trends, tend to skip meals and develop irregular eating habits. Hanging around with friends, frequent visit to the fast food outlets and snacking can lead to excessive intake of fat, sugar and calories and insufficient intake of important vitamins and minerals. • Do not skip meals. • Have 3 meals a day, with healthy snacks. • Eat a wide variety of foods. • When cooking, try to bake, grill or broil instead of frying. • Have fruits and vegetables as a snack. • Avoid smoking and drinking. • Avoid foods rich in fat and sugar. • Avoid reading, watching TV, playing games etc during the meal time.